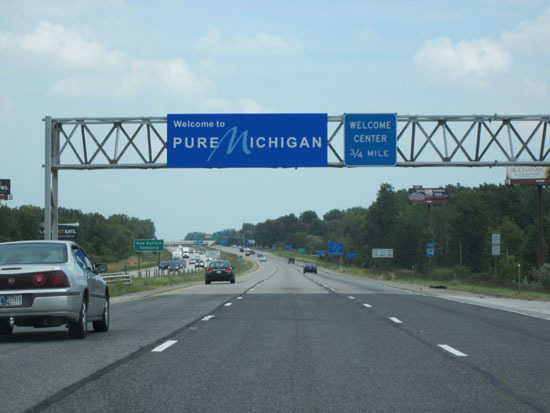 It’s been a few weeks since we arrived in Ann Arbor, MI and I can’t believe we actually spent nearly a month on the road! We drove all the way from California passing by several states N and I have never been before. It’s humbling to travel such a distance and realize the slice of world we knew in California is just one tiny part of the country. I was in line for the Gallery Nucleus‘ Harry Potter Tribute Exhibition opening night the other weekend with some friends and by 9 PM, gave up on the idea I would make it to any of their advertised events. Seriously, it was like a Hall H line around the block and through the parking lot! I wasn’t too bitter though (I had a yummy dinner at Noodle World nearby) and was delighted so many people and their kids showed up and wanted to be part of the celebration. I’m sure everyone reading this would answer a resounding, “YES! Ofcourse!” (and if you deny it, I think you’re probably not being honest with yourself XD). Everyone wants their beloved stories and creations to be appreciated. The especially fortunate few like JK Rowling have innumerable fans who not only love her books, but also everything that has to do with the world she created. They expand her established world by creating their own kinds of art (fanfics, fanart, costumes) and form communities that share their love for her stories. I’ve always felt much respect and admiration for the storytellers whose works inspire such devotion and creative frenzy. Joss Whedon’s works (Buffy the Vampire Slayer, Angel, Firefly) and LOST, are a few more of my favorite stories with similar kinds of following. On the manga side, Hiromu Arakawa’s stellar work with Fullmetal Alchemist makes me weak in the knees and Naoki Urasawa’s handling of Pluto was very emotional. It is somewhat intimidating to start off loving these phenomenal blockbusters and then, to ask yourself “What do I do to create something like that?” but I’m getting to the point of this post and it’s this: At the heart of each of these successful dramatic stories are characters. You may love the Harry’s wizarding world or enjoy deconstructing the Island’s mysteries but you tuned in and you stayed for the characters. Creating compelling, sympathetic and memorable characters and giving them rich, believable and interesting stories is no easy feat. It takes time, lots of work and patience. In today’s fast-paced world, those are becoming rarities. I’m discovering this gradual, fairly maddening process myself as I work on even more drafts for my story. As I suffer my way through rewrites this week, I take a lot of comfort in the fact that apparently, JK Rowling spent over five years planning Harry Potter’s story before she even started writing her first book. It makes me believe in the writing process and helps me be patient as I try to usher my story to be the best it can be. Yes, my stories may never even be a fraction of the ginormous successes like Rowling’s or Whedon’s but if I plan it right, and respect the processes these creators share, no one can say I didn’t give it my best shot. What if Harry Potter were an anime – a technically stunning anime illustration featuring Harry Potter characters by this PIXIV artist. Another one equally as impressive is this Harry Potter collaborative piece by Rem and Maximo Lorenzo. 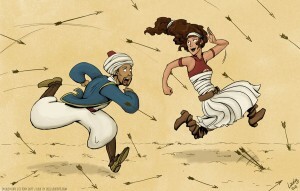 Evan Dahm wrote a tumblr post on how webcomics need to get better. 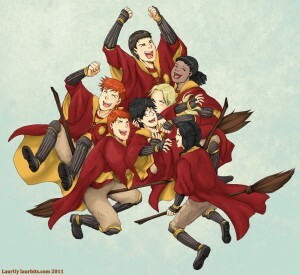 A post comparing Harry Potter, Tohru Honda and their respective villains. Fun read! And finally, a must-read post on a now infamous SDCC panel and the questions about female DC creators/characters. Over at Comics Alliance, Laura Hudson’s response is equally fascinating and well-written. I was wondering how I was going to approach this post because coming into this project, I knew I’d make the mistake of announcing something and was going to have to revise it. It makes me think I should set up some kind of rewards system every time I run into technical issues like this. (Oh, you guys are going to be so spoiled! XD) I’ll set up a new request post on DA and tumblr. If you’ve been keeping up with me on Twitter and DA, you’re probably aware of the state Polterguys is in. 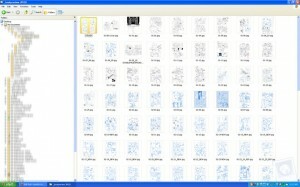 I just completed the first draft of thumbnails for the book and showed them to my editor (i.e. Nathan) who says, they need work. Not just cleaning up work as thumbnails need but actual story-rehauling (this-isn’t-going-to-be-easy) work. Which puts me in a bind, you see, because I had previously announced this Polterguys entity to be an online series that would start in mid-July. I had originally envisioned completing a chapter each month and publishing them subsequently but I couldn’t get a grasp on the book as a whole, cohesive story. As they say, the best laid plans of mice and men often go awry! I was advised to thumb the rest of the book and treat it like a standalone story. Admittedly, I’m sure not everyone else treats their comics in a similar way but I think it was a useful note for me personally because I’ve never been that strong of a writer. So, that leaves me in the nebulous place of rewriting: a dark, lonely territory especially for a new writer. I venture forth somewhat reassured that the next state form Polterguys Vol. 1 becomes will be stronger and better than it’s previous incarnations. I thank you for your patience and hope you stick around to see how it comes along. In the meantime, I leave you with two recent pieces. A small tribute to the legacy of Harry Potter as you can see above and fanart of Tony Cliff’s delightful Delilah Dirk below. 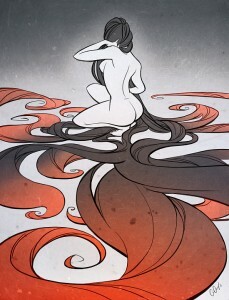 I just started reading The Fox Sister, a new webcomic by Christina Strain and Jayd Aït-Kaci (AKA Chira) the same artist for Sfeer Theory. I’ve been a fan of Chira’s fluid and dynamic style since I first saw her Bleach fanart pieces on Deviantart. From there, I watched as her manic and often hilarious doodles and fancomics boosted her confidence as a fantastic character designer and brilliant storyteller. The Fox sister starts off with a dramatic bang and I can’t wait to see what the creators have in store for us. 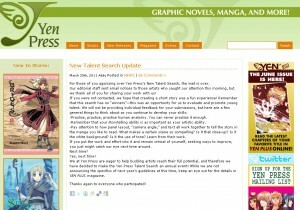 When I heard about Yen Press’ New Talent Search last November, deep down in my gut, I knew I was ready. I’ve been honing my craft year after year, challenging myself to do more, do better each time and finally, this was the opportunity I’ve been waiting for. I ate, slept and breathed manga for two whole months, sought feedback at every junction to improve my work and even used up my vacation hours through Thanksgiving week to make sure I could submit something I could be proud of. When I was laid off in December, I thought “This isn’t so bad. Time to work on the art! I should be hearing from YP soon anyway!” Well, I waited…and kept waiting. I did use that time to push myself creatively and work on my writing but there was a lot of obsessive inbox refreshing. I won’t lie, I was banking on starting my new art career this year. It may have been utter naivete but I believed in the work and in myself. On March 25, I finally got an e-mail. It said ‘the wait is over’, ‘I had potential’ and ‘the editors will be contacting you in the next few weeks to provide feedback.’ At this point, any response would have triggered the jumping and joyful squeals, as you can imagine. Self-taught artists just don’t get enough validation, I guess. I got to know my fellow finalists online and sought other people’s submissions, offering my feedback if they wanted it. There was a general sense of excitement and possibilities. 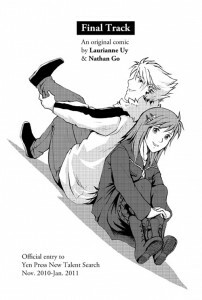 But when Yen Press’ latest issue rolled out, the Editorial Letter essentially stated that none of the artists contacted were up to the magazine’s standards. I felt the world shift under my feet and my future was now left completely uncertain again. Mid-way through May, I’ve distanced myself enough from what happened to analyze and understand my disappointment, my misplaced hopes. In retrospect, there was never anything in the search guidelines about guaranteed publication, contracts or anything of that sort. A bitter lesson for me but one that was necessary to get me where I am now. So what changed? A little maturity, some knowledge gleaned from looking around and reading up on the comics industry and the realization that if what I truly want is to see my work in print and share it with as much people as possible, there really isn’t a need for a middleman to do that! I have all the tools at my disposal and a burning desire to share my stories. I’m not saying this is the same path anyone who’s been ever rejected by a publisher should take! Self-publishing definitely isn’t for everyone, as I’m learning in my research into it. It isn’t going to be as easy but the rewards are going to be much better. It’s going to take a lot on my part but I feel like I already have what it takes to create something meaningful and share my stories with people. I want to oversee the creation of a tangible, physical product- something that has my name on it and I can be proud of. Conan O’ Brien recently posted his Dartmouth College 2011 Commencement Address. (which is pretty hilarious by the way, and worth the time to watch it all the way through) Towards the end, he says a few things regarding his own personal career disappointment that struck a chord with me in light of my own experience. It’s not easy but if you accept misfortune, handle it right, your perceived failure can become a catalyst for profound reinvention. Whether you fear it or not, disappointment will come. Through disappointment, will come clarity, conviction and true originality. I think these eloquently spoken words were quite true and anyone who’s ever faced difficulty or obstacles in their own lives and careers should take heart. And not just manga either! 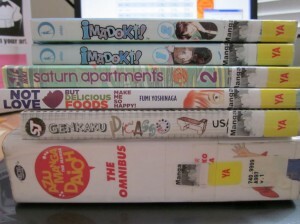 Dropped by the library today and found a bunch of comics that caught my eye so I just had to nab them! In his memoir on writing, Stephen King said there were two things you needed to do as a writer: read a lot and write a lot. Now, I’m liberally applying this philosophy to making comics. I just don’t think it’s possible to create art without being able to appreciate or learn from what’s already out there. Besides, if you want to be a part of the industry, shouldn’t you actually like the stuff? Consequently, if you’re frustrated by the story for instance (thank goodness for libraries’ try-before-you-buy perks), you can analyze what isn’t working and make sure you avoid them for your own stories. 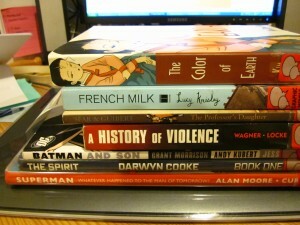 Looking forward to reading this haul over the weekend in the Bay Area. Hope everyone has a happy holiday, travel safe and read comics! Here’s another batch with more of a manga flavor from May I forgot to upload.